You save yourself the hassles of going at it alone and enjoy the benefits of letting our professional fencing company handle your repair work! 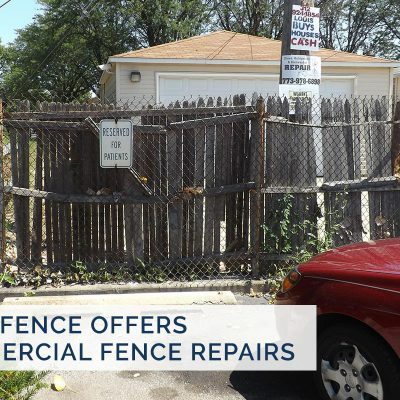 As the Chicagoland fence company that’s been serving clients since 1989, First Fence Company has the experience to handle your commercial and specialty fencing jobs with expert skill. When it comes to barbed wire fences, vinyl fences, chain link fences, aluminum fencing or ornamental fences, we can assess and respond to damage quickly and efficiently. Privacy: Repairing and installing new fence blocks views from passers-by, and you enhance the overall privacy of your commercial location. Security: If you’re trying to protect employees, equipment or buildings, repairing or installing new fencing is one of the top ways to enhance property security. Aesthetics: Because there are so many types and styles of fencing, it’s easy to find the repair or new installation that works for the aesthetics of your site. Industrial and recreational fencing styles that can enclose garbage areas, tennis courts, baseball backstops, security areas and more. Then, when any of these fences need repair work, just get in touch with our First Fence consultants to figure out the best approach to get your fence back in proper working order. 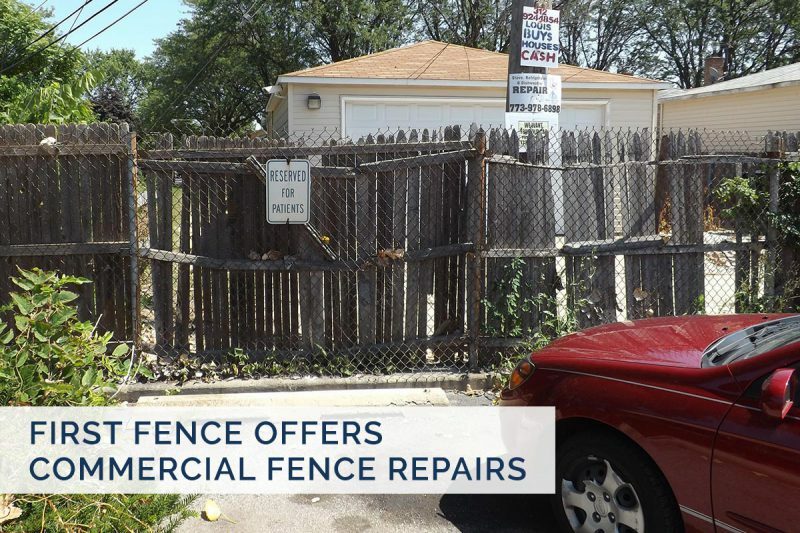 Located on Elm Street in Hillside, First Fence Company is Chicagoland’s trusted provider of quality fencing and expert services. If you’re shopping for a new wrought iron fence or need to repair the damage in your existing structure, our team is here to help you create the durable, attractive fence you need to complete your property. Visit our showroom to learn more about our products and see them in person.